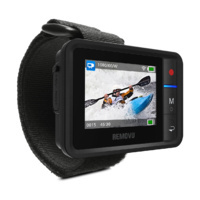 GoPro Cameras are amazing for capturing high-quality video for a range of activities from the everyday, right through to Extreme Sports. However, you "Don't just buy a GoPro"!! GoPro HERO owners quickly discover they have an ever-increasing need for accessories to compliment their camera. 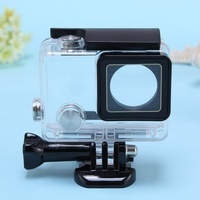 HERO GEAR stocks a wide range of GoPro Camera accessories from the following brands: SP Gadgets, Wasabi Power, Removu, UK Pro, Polar Pro, TurnsPro, Flymount, Knog, DigiPower, NiteCore, GoScope, GoPole, NeoPine and HERO GEAR. 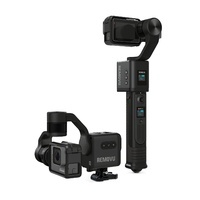 There's Batteries, Battery Chargers, Extended Battery Packs, Battery Cases, Storage Cases, GoPro Mounts, Telescopic Poles, Hand Grips, Filters, Stabilising Gimbals, Video Lights, Timelapse Panning Devices, Housings, Dome Ports, Microphones, Lens Caps and More!! 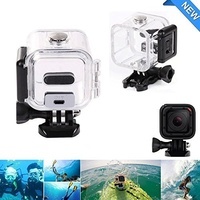 We stock accessories for the following GoPro camera models: GoPro HD Hero, GoPro Hero2, GoPro HERO3, GoPro HERO3+, GoPro HERO4, GoPro HERO4 Session, GoPro HERO (2014), GoPro HERO+, GoPro HERO+ LCD, GoPro Hero5, GoPro HERO5 Session, GoPro HERO6, GoPro Fusion, and GoPro HERO7. We stock a range of Accessories for DJI Drones, such as spare Intelligent Flight batteries, camera trays, Landing Gear, Prop Guards, Gimbal Locks, Phone Mounts, Propellers, Storage/Protective Cases, Car Chargers, Charging Hubs and Camera Filters (Cinematic, Neutral Density, Polariser, and UV filters). 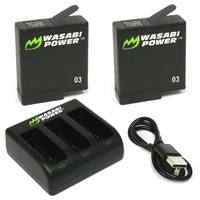 If there is a particular accessory you would like to see in stock, let us know via the Contact Form. We stock accessories for various DJI Drone models including Phantom 4, Phantom 4 PRO, Phantom 4 ADVANCED, Mavic Pro, Mavic Platinum, Mavic Air, Spark, Mavic 2 Pro and Mavic 2 ZOOM. 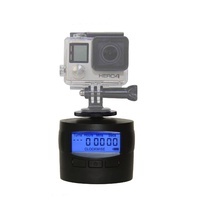 **The BEST way to see exactly what accessories are suitable for the GoPro Camera or DJI Drone that you own, is to use the Camera model or Drone model filters on the left-hand side of each category. Note: we are still adding the GoPro HERO 2018 and GoPro HERO7 to these filters, so not all items are shown yet. All store prices include FREE Standard Postage within Australia - Please refer to our Shipping Policy for more information. NOTE: If you need your item/s FAST (going overseas or on holidays, etc) then please use EXPRESS POST in your cart. 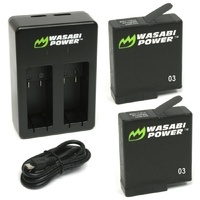 We also ship Internationally on ALL items, except Lithium Battery products. Postage cost estimates are available at checkout. We accept Payments via Paypal or Direct Bank Deposit - refer to our Payment Options page.